A leading car battery manufacturer had access to high-level, manually-generated summarizations of product sales information, with almost no ability to drill deep into the sales numbers to understand the performing products, product families, and geographic regions. As a result, the car battery industry client approached Quantzig to help them overcome their predicaments. During the course of the big data analytics engagement, the client evaluated future business decisions accurately through big data analytics and reporting. The client – a leading manufacturer in the car battery industry segment is based out of the United States. The company has both manufacturing and recycling plants located across the U.S. and Europe. The car battery industry client was facing predicaments in terms of their capability in limiting the company’s ability to push out excess inventory timely to high sales regions to maximize profits and understanding the importance of big data analytics. Additionally, most of the required data were either missing or needed manual cross-checking from CRM systems. 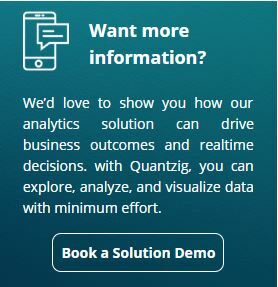 With the help of Quantzig’s big data analytics engagement, the car battery industry client was able to outline a global cost and average selling prices across product lines and associated materials, blend data with inventory, and order backlog data-sets to increase periodical margins. Additionally, the client gained unparalleled visibility into their own internal sales and manufacturing data. For more than 15 years, we have assisted our clients across the globe with end-to-end data management and big data analytics services to leverage their data for practical decision making. We have also worked with 120+ clients, including 55+ Fortune 500 companies and helped them understand the importance of big data analytics.